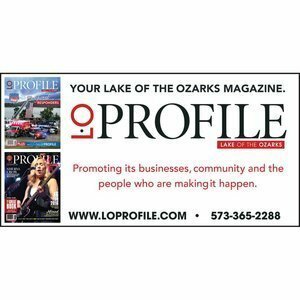 Award-winning L•O PROFILE MAGAZINE brings glamour and sizzle to the Lake of the Ozarks and the Midwest. This large-format, pearl-coat-finish publication byStudio M Publishing depicts the lifestyles and passions of the Lake’s most affluent and sophisticated. With high-impact covers, engaging content and a witty, intelligent editorial style, L•O PROFILE is a bimonthly “must-read.” With six issues annually, the publication features glamorous covers and interviews, elite homes and yachts, health, food, fashion and the local VIP scene.